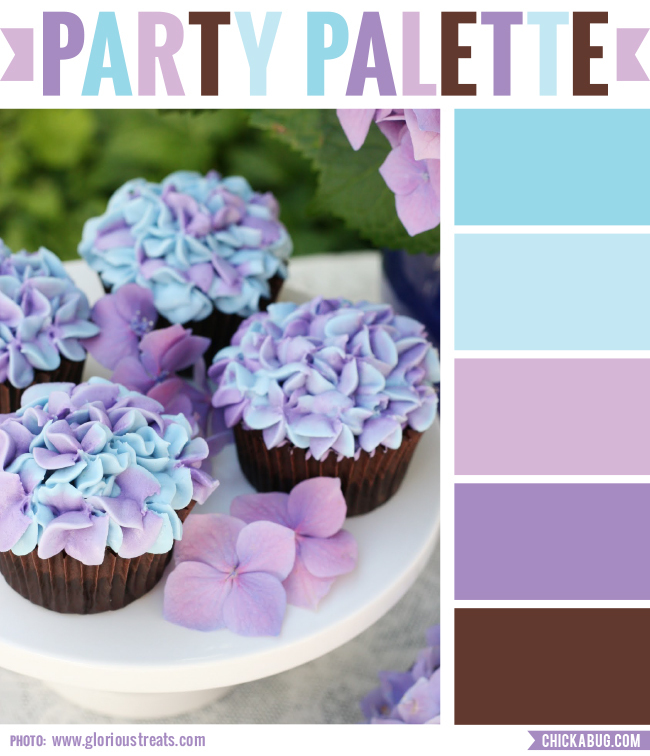 This week’s party palette was inspired by a beautiful bunch of hydrangea cupcakes in lovely lavender and turquoise tones, plus an earthy chocolate brown accent. It’s a lovely color palette for a spring party, a mother’s day brunch, a tea party… pretty much any springtime celebration! To learn how to make and decorate these gorgeous hydrangea cupcakes, visit Glorious Treats. You are incredibly talented and very generous to provide the tutorials. I have never tried cake decorating before (I'm 54) but am going to try some of your tutorials, particularly the fondant roses and butterflies.